The NFL is in trouble. That’s the bad news. The good news is that most of the problems with the league can be corrected, as long as the NFL acts decisively and quickly. The NFL is best seen as a giant battleship. It’s enormous and built to last, yet its size makes it unwieldy and difficult to change course quickly. Right now, it is the biggest and baddest ship on the water, but it is headed in the wrong direction. To make matters worse, it has dozens of small cracks along its hull that are slowly taking in water. Not one of those cracks is enough to sink it, but collectively, those cracks will eventually bring it down. The NFL has multiple image problems, some real and some imagined but no less damaging. This includes player safety, a problem that is a little bit of both. On one hand, the NFL sustained a massive self-inflected wound with the way they handled concussions in the past. That crack is big and the league has done very little to patch it. On the flip side, many paint the NFL as too dangerous and too violent and are doing everything they can to bring it down. 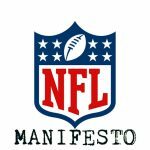 Everyone associated with the NFL – owners, players, fans – knows that the sport is dangerous and violent. It is part of the deal, and most of us are good with it. The day the players are no longer good with the risks is the day the league goes under for good. Another image issue, and one that dominates headlines, is the National Anthem protests. We live in a society where the media thrive on controversy and division. The more hyperbolic the report, the better for business. Colin Kaepernick is the poster boy for this issue, though it has grown to be much larger than just one man. The problem with it is you have people from both sides of the political divide that are now tuning out because of it. Those on the far left are demanding that the NFL force someone to hire Kaepernick. (Stupidest idea possible.) Those on the far right feel that the league is full of a bunch of rich, entitled, unpatriotic jerks that hate the country and the flag. (Ignorant at best.) You know it is a huge issue when commentators as good as Al Michaels are going out of their way to update you on who did or did not stand for the anthem. The media in general is terrible and sports media is not that much better. They have decided that this controversy deserves ALL THE COVERAGE because of ratings, not realizing that their constant coverage is going to hurt the ratings for the NFL, which will then hurt their own ratings. The League has a leadership problem. I don’t care for Jerry Jones. He comes across as boorish and arrogant. If Jerry takes a position on something, I am usually going to be on the other side. But, reports indicate that he is standing in the way of Roger Goodell’s contract extension. 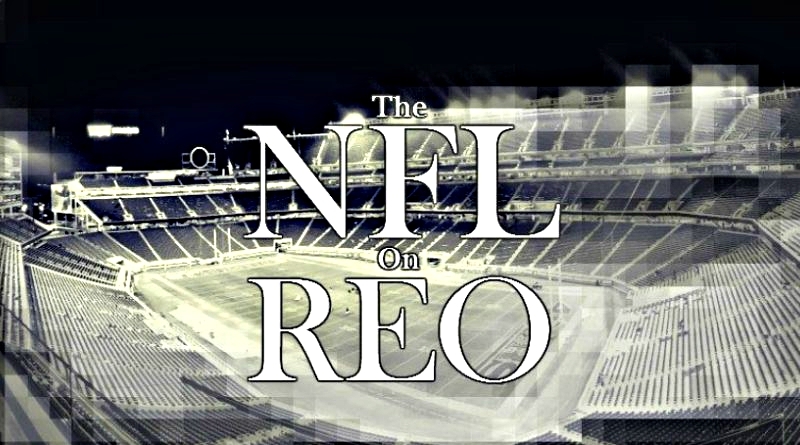 I believe I have made my thoughts about Goodell very clear in my time writing for REO. This then becomes similar to the recent presidential election. Do we have to side with one of these two? With that said, many of the NFL’s problems can be directly traced back to Goodell or the overall leadership of the league. And even if the problems are not entirely Goodell’s fault, sometimes it is just better to make a change in leadership for appearances. Most people don’t care who the commissioner of the NFL is, but if they were to replace Goodell with someone with greater vision and self-awareness, it would do wonders for the overall image of the league. The League has a product problem. I saw a Twitter poll posted by Clay Travis recently that asked the question, “You can only watch college football or the NFL on TV this year — which do you pick?” And College Football won. Overwhelmingly. Now, I realize this poll was posted by Clay Travis, someone who has made his career covering college football (and making fun of ESPN), but I think the results still have validity. There is a perception among many, right or wrong, that the college game is better than the pro game. I could post stats about blowouts in the college game, or how close games are in the NFL on average, but those stats usually fall on deaf ears. People see what they see and feel what they feel and stats and facts are rendered meaningless. The college game can be incredibly exciting. I enjoy it. But I enjoy watching the best of the best playing the same sport on Sundays more. But there are issues built into the professional game that can be fixed or tweaked that will make the game more entertaining for fans, and the NFL needs to start working towards those soon or they will continue to lose fans. Over the next few weeks, I will be doing my best to tackle a few of these issues and present some ideas for change. These cracks need to be fixed or the NFL will cease to be the powerhouse that it is. Let us know in the comment section what you would do to fix these issues. Or, if there are issues you have noticed that I have not addressed, let us hear about them. Thursday Night football is unwatchable. I love the NFL. I can watch any real NFL game and be perfectly satisfied. I will watch a game between the New York Jets and the San Francisco 49ers and find plenty to enjoy. But Thursday Night football is a completely different animal. Thursday Night football is sloppy. TNF is ugly, poorly played, and worst of all, boring. TNF is a match-up between two teams that are tired and not recovered from the previous week. The product on the field completely supports my assertion – you only have to look at the most recent Thursday night game for proof. Thursday Night football needs to be taken out back and put out of its misery. Effective immediately. It is a prime-time game that is as poor of a representation of actual professional football as one can find. It will not create new fans. It will not engender good-will towards the league or the game itself. In fact, I contend it is doing the exact opposite. It is too much football. And it is football that is a poor representation of what the game is supposed to look like. It makes the NFL look greedy, ugly, and uninteresting. NFL, if you want to keep your league at the top, get rid of Thursday Night football as soon as humanely possible. It is a blight on your league and your product. Focus your immense power and money on Sunday and Monday football. Make those games as good as they can be and stop diluting your sport with inferior product. That was fun. What we saw in the second half of the game against the Jaguars is what fans of this team are expecting this season. A physically dominant performance in all three phases of the game. And there is no Titans’ player that better epitomized that physicality than Derrick Henry. Let me be clear about something – DeMarco Murray is the number one running back for the Titans. But until he is 100% healthy from the hamstring pull, Henry is the better option. The Titans have the luxury of having two number one backs on their team and they need to take advantage of that starting Sunday against the Seahawks. Sit Murray and start Henry. Do that until Murray is completely healed. If they want to make a run late in the season and into the post season, they will need Murray. If you want to see what I mean by Henry being the best representation of Titans’ football, go check out this article at Music City Miracles. Those guys do great work covering the Titans. There is a youth movement at work for the Titans and it should be very exciting for fans of the team. This year’s draft is showing up all over the field, with players like Adoree’ Jackson, Taywan Taylor, Jonnu Smith, Corey Davis, and Jayon Brown already playing big minutes and contributing in a number of ways. The future is very bright for the this team. Enjoy the ride Titans’ fans. This week poses a significant challenge for the Titans. The Seattle Seahawks are a good/great defense and they have a mobile QB that can extend plays with his legs. The Titans have struggled against mobile QB’s in the past and Russell Wilson is better than most, so it will be imperative for the defense to stay on course and not deviate from their assignments. The good news is the Seahawks have a terrible offensive line and the Titans’ pass rush should have plenty of opportunities to get to Wilson. For whatever reason, I have a similar feel about this game as I did for the Green Bay game last year. I am hopeful that the Titans’ offense will pick up where they left off in the second half of the Jaguars’ game. It should be a fun one. 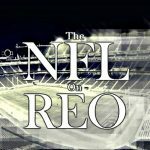 The NFL on REO: Football is Back! Sort of. There is a lot of good conversation to be had on these topics. I agree about the NFL having problems and I agree which ones they are. Interesting to me is that since Kaep doesn’t have a job now, some on his side are pushing to boycott the NFL. While at the same time, the people who boycotted *because* of Kaep are still boycotting because people are still protesting the anthem, though it seems to be a very tiny number (only two people during the early games on Sunday according to ESPN). So neither extreme is happy. You have to try real hard to get the two extremes in the culture war to do the same thing. One thing that kills me that I tweeted about before I took a break from Twitter is that the Browns did a major kneel during the anthem of a preseason game, but it had a very different approach than Kaep did, in my opinion and if I understood it correctly. The voices behind that kneeling (and there were players of both races in on it) said that they didn’t want to disrespect cops or the flag but wanted to kneel in prayer to bring awareness to injustices that exist. One can argue whether it still has merit but to me that is way different than what Kaep did. I personally find nothing wrong with the Browns on that, yet it still caused a huge stink in Cleveland. (I know they were working to resolve it but I don’t know what came of it…I don’t think the Browns have continued to protest like that). People care so little about seeing nuance. It’s all or nothing in the culture wars. I add as well that what Kaep did in kneeling didn’t bother me either, but I’m not a cop or a soldier (I recognize he has support from some soldiers and cops, just as Trump has support from some blacks and Hispanics). I think other things he has done are worse and unhelpful – and they probably are at least part of why he is blackballed. I love both so much, though NE and Clemson winning coupled with the Bears and Gamecocks stinking the last few years has caused me to have an awful taste in my mouth about football in general. But since I have seen so much of both I have an opinion. They both are super interesting to me and they share a lot in common but I’ll highlight some of the differences that make one or the other better. 1. Quarterback play is better. As is well documented, I think the QB’s value is overrated to winning but the QB is still the most important. And when the QB play is better, the whole game is better. QB play may be down in the NFL (I don’t really know) but it’s still far above college QBs getting pressure and turning their back on the D as they run backwards and get sacked for a 22 yard loss. 2. Games are closer in score. There is no Alabama vs. Georgia St. in the NFL. College scheduling reeks at times. I hate it. I hate seeing 76-0 scores most weeks. Even in conference games you may get a 52-7. Nearly non-existent in the NFL and there are 3-7 point difference galore most weeks. 3. More games matter more, longer into the season. Since we have seen 5 seeds and 6 seeds win the SB, fighting for the last playoff spots is exciting. In college once you lose 2X you are definitely out (Save in 2007, or once in my literal lifetime). That brings a bunch of games that do not matter to the championship. 4. The NFL is more efficient and beautiful to watch in general. 1. It is so supremely unpredictable. It happens nearly every year that The #1 team will go down late in the year to some 5-loss team or three of the Top 5 will lose in November. Having 4 teams in instead of two for the playoff takes some of this away but it is still exciting in November just about every weekend. So many de facto playoff games (except often it is only a playoff game for one team). 2. There are more games, so more chances for close games. If there are 16 NFL games a weekend and 10 are close, and there are 65 college games and 13 are close then even though College has far more blowouts then you still have more close games to watch. Though often those 13 close games might not have any effect on the playoff. 3. Because college is less efficient, it creates some wacky wild plays. College has more blocked punts and hail mary’s (especially if you take out Aaron Rodgers the last couple of years). A blocked punt probably means someone blew an easy assignment but man it brings some excitement. 4. I think College rivalries are better. The NFL has some good ones but it’s beyond passion in college. This does not completely make up for the “Meaningless” game issue of college (those late Nov games between 7-5 and 8-4 teams) but it helps. I think Auburn vs. Bama matters more even if there is no championship on the line than, say, Pittsburgh vs. Baltimore if there is no playoff spot on the line. I wonder if you overstate this. I’m not sure I qualify as the “far right”, but I am fairly certain that the NFL has more than it’s fair share of “rich, entitled, unpatriotic jerks that hate the country and the flag”. Sometimes I would like to think that guys like Kap are just ignorant in their reverence for figures like Castro or Che Guevara but that might be more insulting than just calling them unpatriotic. I will admit my attitude on the topic has hardened since I now have a Marine in my immediate family. But in your opinion, what makes the attitude you noted “ignorant at best”? I think it may hinge on the semantics of “full of a bunch” but am curious of your thoughts. I don’t think the facts prove that a lack of patriotism is an actual problem with the league. The overwhelming majority of the players stand for the anthem and seem to have no problem with showing their respect for the flag. I’m sure there are plenty of “rich, entitled, unpatriotic jerks that hate the country in the flag” in the NFL, but I doubt that number is nearly as high as some would believe – those on the right that are boycotting it. And if it is a large number like that, they don’t show it on Sundays when the anthem is sung, so the end result is the same. I’m not trying to be argumentative but Kap is arguably Exhibit 1 showing a lack of patriotism. I wholeheartedly agree with the “overwhelming majority” statement but that goes for issues such as violence against women (or any criminal behavior) also. The bad apples are a big enough problem to actually be a real problem. Whether the problem merits a boycott is another question, but I’m still questioning your statement that it is ignorant to believe there are a bunch of unpatriotic jerks in the NFL. I want to make sure I am properly characterizing your original statement that I believe is vastly overstated. Chris, what proof is available that there are a bunch of unpatriotic jerks in the NFL? What percentage of NFL players does not stand for the anthem? What percentage has spoken out and said things that show a sign of disrespect? Of the 848 active roster players, how many of them have shown, by actions or words, that they are unpatriotic jerks? All of this assumes that not standing for the anthem is unpatriotic – as some in our country believe. I’m not really making a judgment one way or another on that part of it. Just presenting the two most vocal sides of this controversy. By the way, I especially agree with your statement regarding the assumptions being made and that bears a lengthier discussion. But as far as “proof”, given the assumptions, you look to Kap and others who have stood with him (pun intended). Earlier I said you could perhaps charitably attribute those standing with Kap as ignorant, but again I’m not sure that is less insulting. I’m still not sure what you are getting at. I can’t give you the numbers and percentages, but since Kap started this, others have joined his bandwagon. So again, my question has been why is it “ignorant at best” to believe this actually exists? Your responses so far seem to suggest that even if you do consider what Kap and a few others are doing as unpatriotic, it is ignorant to suggest it is a big enough problem to label it a “bunch”? “So again, my question has been why is it “ignorant at best” to believe this actually exists? I never said it was ignorant to believe this exists. Not sure where you are getting that. Your second paragraph pretty much nails it. There is no proof it is a big problem or that there are a “bunch” of players like Kaep. So, boycotting the league because a few players do something that might be deemed unpatriotic is ignorant to me. But, to each their own. Your original statement did not say anything about the boycott because of a few players or tie ignorance to a boycott. It implied it was ignorant at best to “feel” (i.e. “believe”) that the NFL has a bunch of unpatriotic players. Thus my statement that you seem to have implied it is ignorant to believe the problem exists. Like I said way above, I was guessing this would turn into semantics about a “bunch”. Those are two different things. I think it is ignorant to believe there are bunch of unpatriotic players based on the facts – very few players have actually engaged in any protests. I never said it was ignorant to believe that there is a problem with some players being unpatriotic. There is simply zero evidence that it is widespread or that a “bunch” of players feel that way. That is my point. I’ll leave it at that. Do you think this statement is true or false? Many feel that the league is full of a bunch of rich, entitled, jerks who beat (or are accused of beating) their significant others, and those that feel that way are Ignorant at best. I disagree that the league is full of rich…jerks who beat their significant others. 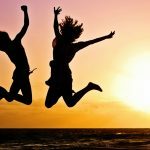 I have not seen the latest figures, but a few years ago, a study showed that the percentage of NFL players that were accused or charged with domestic violence was lower than the general population. I will look that up to see if that number has changed. Yeah if 5-10 guys out of 884 are kneeling then I don’t think that’s a bunch. Part of the problem with the culture wars is that we think a similar % of people speak for the other 95% when they really shouldn’t. Beyond that I think you’d have to find some evidence that the other 875 or so players are rich entitled and unpatriotic. Also I’m entirely convinced that without heavy media attention the kneeling would be a non issue with fans perception of the NFL. People are sheep in general and get outraged at whatever the media puts in front of them. I can’t prove that as easily as my last comment. There are a bunch of blowouts in College Football. There were a bunch of unpatriotic people in St. Louis last weekend that participated in flag burning and other protests. There were bunch of looters in Florida after the hurricane. There are a bunch of people who find silly reasons to boycott something. Even if the small % of people do not speak for the large, another problematic area is when a lack of outcry from the majority is attributed to their assent. Where I could find common ground is that a “bunch” changes with the seriousness of the offense. If there are 8 rapists in a town of 900, that’s a bunch. Where we may differ is that I don’t consider this “unpatriotic” act quite so serious. Some (as I mentioned about the Browns eariler) do it with respect and nuance. Not everyone is quite as disgruntled as Kaep or Michael Bennett about it. I’m not sure what you mean about the lack of outcry. I know that every conservative pundit in the country (essentially) has either blasted Kaep or critiqued him to some level. But I think I’m misunderstanding that point. I think Kaep continues to get blasted for 2 reasons: (1) He started the recent movement of “unpatriotism” and (2) He wore a Fidel Castro shirt and praised Castro’s political views while trying to defend his own actions of kneeling and argument about racial equality. Kaepernick simply is uneducated as to the atrocities Castro’s regime committed to his own people. He wants others to understand him and his oppression without trying to understand (and even supporting) the greater oppression of others. So while I am a conservative pundit and understand people’s dislike for him, and the apparent black-balling of him by team owners, I think he is just a very ignorant person who would back down (and has) from his Castro stance. I do think he should be picked up by an NFL team, though no team should be forced to hire him. As for the arguments for and against college or pro football, the NFL will always be more watchable and take precedence over college football to me. Literally, at least half the teams in college football don’t even matter before the season ever begins (only the power 5 schools have a chance). And some of the remaining half don’t even really have a chance (like Virginia). There are normally 20-25 teams in the NFL (b/w 60-80%) that have a realistic chance of making the playoffs, which is a far greater percentage than in college. Plus, they are the best players in the world. In 3 weeks of NCAA football, I’ve probably watched a grand total of 5 hours of college football, 3 of which were my UVA Cavaliers. But I have watched about double that amount in only 2 weeks of NFL football, none of which has been my 49rers. It’s really simple, the NFL has far superior talent and quality of football and is a much greater entertainment value. Most televised college games are teams I have zero interest in, whereas fantasy football has made every NFL game (except Thursday night) watchable and exciting. The conversation about Kaepernick is complex. Is he good enough to be on a roster? Absolutely. Should teams be forced to sign him? Absolutely not. Is the NFL blacklisting him or anything like that? No. Are many owners hesitant to sign him in fear of fan backlash? Yes. I get tired of people trying to boil this incredibly complicated situation into some sort of either/or scenario. There are way too many moving parts involved for it to a simple thing. Agreed. However, he personally escalated the situation when he showed his own ignorance about Castro. His point might have been better accepted had he realized the injustices towards other people groups in which he outwardly supports their oppressor. Instead, he rails against social injustice towards people of color in America while supporting social injustices in other regimes. That was an astoundingly igrorant stance for him to take. Oh yes I may not have stated the “lack of outcry” part fully enough. What I mean by that, is the assumption that you agree the given view unless you speak out against it, boycott it, condemn it, etc. So in this case because the NFL is not taking a strong enough stance against the “unpatriotic” behavior, in some minds they are accepting it. I really like your point about how “bunch” changes with the seriousness of the offense. Like I said initially, my position on this hardened quite a bit after having a Marine in the family. “Agreed. However, he personally escalated the situation when he showed his own ignorance about Castro. His point might have been better accepted had he realized the injustices towards other people groups in which he outwardly supports their oppressor. Instead, he rails against social injustice towards people of color in America while supporting social injustices in other regimes. That was an astoundingly igrorant stance for him to take. I agree completely. That was where he really lost any moral authority. I agree that Kaep is out of work for several reasons and trying to boil down to 1 or 2 is American simplistic political discourse at its finest. He went further with comments about cops being pigs and Castro. He’s a QB and in the NFL that is the face of most franchises. He has lost 20 of his last 24 starts. He’s been most successful in the spread option, whose shelf life up. And perhaps other things. Some teams pass him up for some or all these reasons and that changes from team to team I’m sure. I feel that if most of these things weren’t true he’d have a job. It’s just a perfect storm of unsignable circumstances. As proof I have no doubt Michael Bennett has and will have great job security because most of the list doesn’t apply to him. Good point. All those “negatives” coupled with the fact that he’s a QB really is a perfect storm against him. After the President’s harsh words and nasty language led to the #Takeaknee week in the NFL, I came across this article written today. It’s pretty interesting the various angles the media is viewing this issue from, even the Christian acceptance of the whole movement and the American church as a whole. I do not think Kaap and Tebow are very comparable. I also think what the president did this past weekend was very foolish. It may be politically expedient and I hate it when those two things are so far apart. This article is the reason many NFL fans and Americans in general refuse to accept the athletes at their word and actions for not standing for the anthem. Jim Kelly is one of the few reasons the Bills are even still in Buffalo. In challenging Kelly on his comments about Lesean McCoy, this defensive end is lashing out at Kelly in the same “divisive rhetoric and tone” as he’s claiming Kelly is doing to the Bills. I thought this was a case of freedom of speech and demonstration. I guess not everyone gets to have freedom of speech. Kelly’s comments directed at McCoy were perfectly fine. Kelly was showing unity standing with the rest of the team, while McCoy stretched during the national anthem. It seems to me that McCoy was the only one not showing unity by doing his own thing. Kelly did the right thing by calling him out.